IDEA is a family of tuition-free public charter schools committed to seeing each child to and through college. We achieve our record of 100% college acceptance through a focus on personalized learning, core subjects, critical thinking and college preparedness. 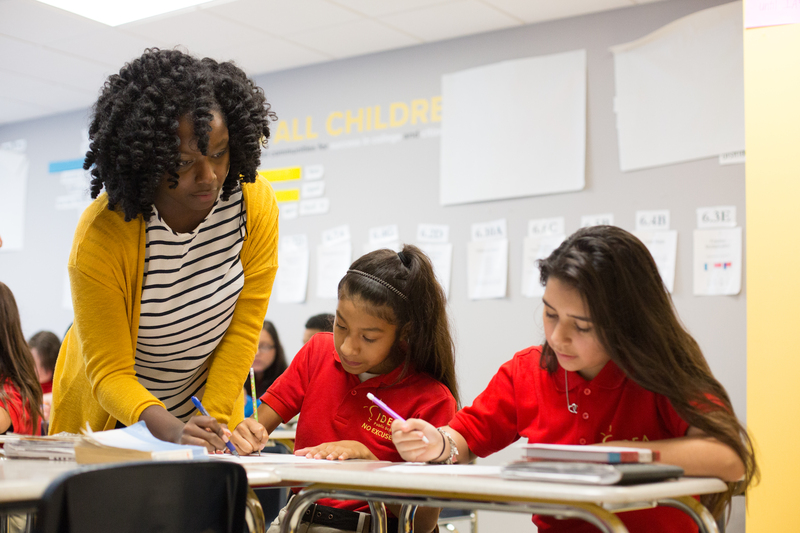 IDEA’s expert teachers partner with students and families every step of the way to ensure students are prepared for success in college and life. Our approach is different – and it works! Applying is easy and takes just a few minutes. 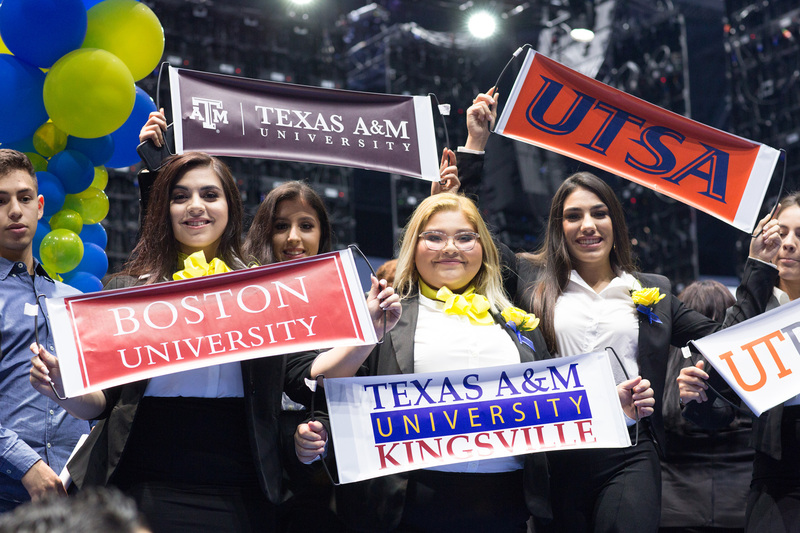 If you’re interested in applying to attend an IDEA Public Schools campus in the Rio Grande Valley, Austin, San Antonio, Tarrant County, El Paso or Baton Rouge for the 2019-20 school year, please visit our application page to complete a student application between September 1, 2018 and February 15, 2019. Applications for IDEA New Orleans will open on November 1, 2018 via EnrollNOLA. EnrollNOLA administers OneApp, the unified application process for all schools in the city of New Orleans, which offers students the opportunity to apply to all participating schools with one application. A random lottery will be held on February 16, 2019 to determine which students will fill spots available at each IDEA school. If randomly selected, you will be notified and invited to attend a “Welcome to IDEA” event where we celebrate your acceptance to IDEA and orient you to IDEA's culture, curriculum and expectations. You will also attend testing and registration events to officially enroll at IDEA Public Schools. Students who are not randomly selected to attend IDEA will be placed on a wait list, and the order of the wait list will be randomly determined. The applications of students on the wait list will remain on file for the remainder of the 2019-2020 school year. If a spot become available, students will be selected from the wait list, and parents will be notified of their selection and informed of next steps. o   IDEA believes there are no limitations on a child’s ability to succeed in college and life. We know that every child is capable of success in college, career and life and we go the extra mile to help them succeed. o   IDEA helps children blossom into tomorrow’s leaders, critical thinkers, and change-makers by focusing on the whole child. Our students are given the tools to succeed personally and academically and 100% of them graduate from high school and go to college. IDEA Public Schools is a charter school. What is a charter school? o   Charter schools are public schools that are allowed the freedom to be more innovative while being held accountable for advancing student achievement. Because they are public schools, they are open to all children, do not charge tuition, and do not have special entrance requirements. Does IDEA offer extracurricular opportunities for students? o   IDEA students are introduced to a robust assortment of extracurricular activities. IDEA athletic programs include basketball, baseball, cross country, cheerleading, flag football, golf, lacrosse, soccer, softball, tennis, and track and field, among others. IDEA students continue to excel in extracurricular opportunities, with state championships in track and field (IDEA Quest and IDEA Allan), flag football (IDEA Donna), soccer (IDEA McAllen), and baseball (IDEA South Flores). o   In addition to a thriving sports scene, IDEA also offers a variety of clubs, which span many student interests - art, chess, cooking, dance, community service, farm and garden, languages, music, photography, politics, yearbooks, and much more. Why does IDEA offer only certain grade levels when opening a campus? o   IDEA typically opens grades K-2 and 6 at a new campus, and gradually increases grade levels offered year-by-year. The rationale is to build a student body over time that grows in conjunction with the campus itself. Does IDEA require students to take an entrance exam or placement tests to be considered for the lottery? o  Prospective students are not required to take an entrance exam to be considered for the lottery. IDEA’s admission process includes an application and random lottery selection. Ready to apply? Give your child the gift of a high-quality education that will prepare them for success in college and in life. Apply today!